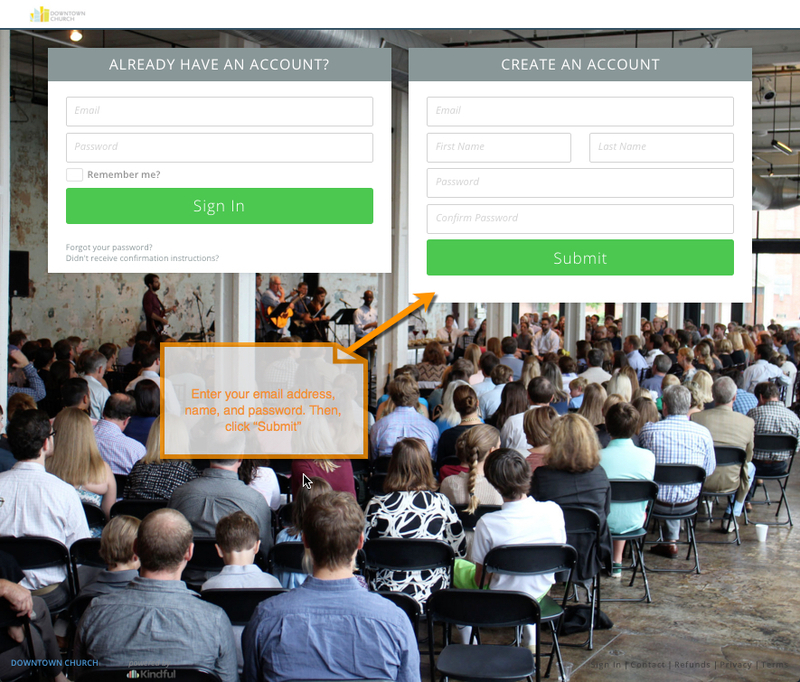 Create an account for full visibility into your giving to DOWNTOWN CHURCH. Update and edit your financial information, giving amounts, and recurring frequencies. Download your tax information at any time during the year. Your first step is to create an account. We've made it easy by giving you step-by-step instructions below. 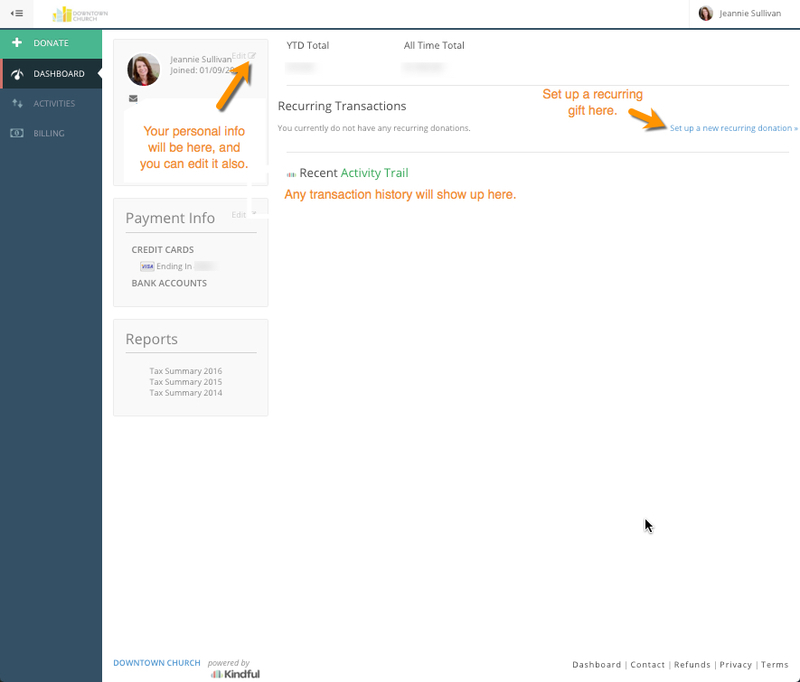 The first step in using Kindful to donate to DOWNTOWN CHURCH is to create your account. To get started, follow the steps below and click on the images for details. Access our Kindful page online: downtownchurch.kindful.com. Go to your inbox to verify your account. Once you've created your account, please consider starting or increasing your recurring donation. Follow the steps below and click on the images for details. 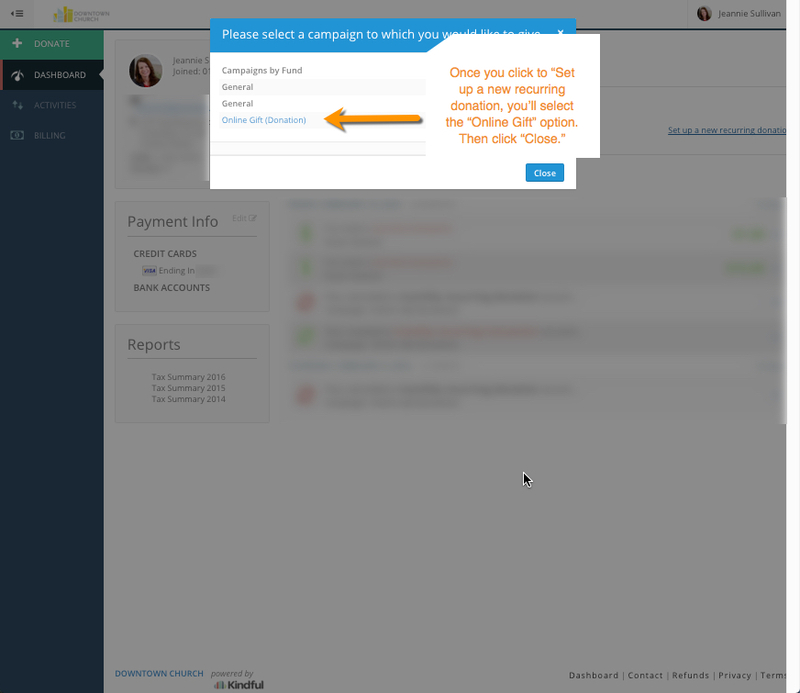 Select "Set up a new recurring donation" or "Edit" to increase your gift. Set amount, frequency, and financial information. If you'd like to know more about giving at DOWNTOWN CHURCH, please visit our giving page on our website or read our Giving FAQs. You can also send an email to janie@downtownchurch.me.